Planning a Trip? Find Print Along the Way with this Book Sale Finder! One of the best things about summer is the constant availability of yard sales, outdoor markets, and shopping sales. Don’t think you have to limit yourself to shopping recycled house or mall sales. Embrace the beautiful weather, pick a state you want to visit, and find a printed book sale along the way! The P.A. Hutchison Company is sure that any fascinating printed book will brighten up even cloudy summer days because unlike e-books, print never needs to be charged or runs out of batteries; it is always ready to be used. So go ahead- use this link to find book sales near you! Print, print, and more print! There are few things we love more than meeting new print lovers; this November, members of The P.A. Hutchison Company have been to visit two different trade shows allowing us to meet hundreds of new faces! 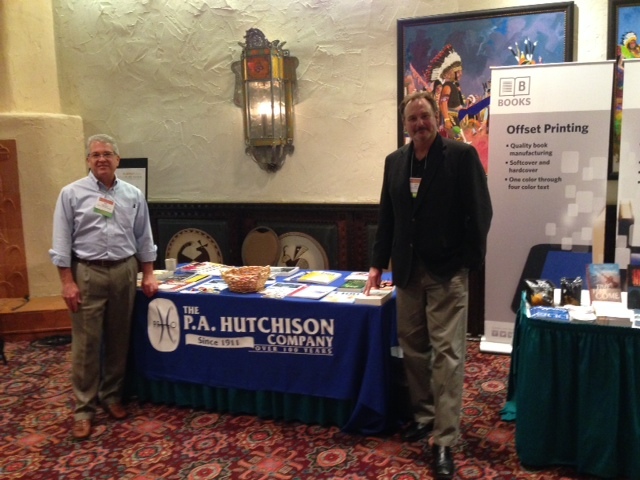 Jeff McDonald and John Jajich, two of our National Sales Representatives, traveled to New Mexico to attend PubWest 2013 November 7-9th. PubWest is a dynamic trade association of book publishers, printers, graphic designers, binderies, and related editorial and marketing service companies. Established in 1977 as the Rocky Mountain Book Publishers Association, PubWest (Publishers Association of the West) is now dedicated to the advancement of its members and the publishing profession. Jeff and John were able to meet print buyers from new companies and see old friends. Vita Ranella, Marketing Specialist, and Bob Deal, National Accounts Representative traveled to The Atlantic City Convention Center to attend NJEA 2013 held November 7-8th. NJEA, The New Jersey Education Association, is a diverse organization working to create an optimal environment to achieve excellence in public education in New Jersey. After viewing the many print samples we had displayed, several educators commented how those same books, ones The P.A. Hutchison Company have manufactured, are used daily in their classroom. Bob and Vita were able to travel down, “Author’s Alley,” and meet with self-publishers and avid print lovers. The P.A. 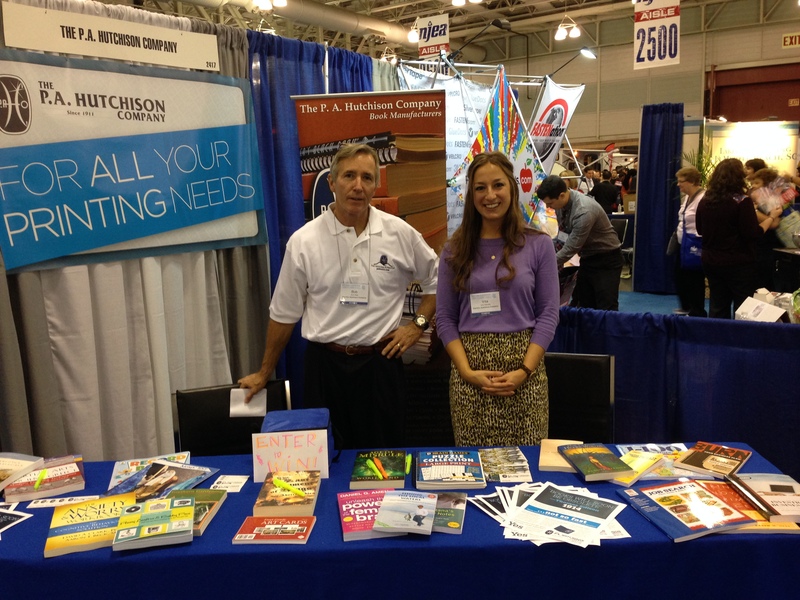 Hutchison Company is a family-owned printing company that has been in business OVER 100 years. Be Green and Choose PRINT! Are you a bookworm trying to meet new people? Or are you maybe a more casual reader looking for a stimulating conversation with new friends? Vermillion Art Gallery and Bar in Seattle, Washington may have the perfect activity for you. Don’t let Vermillion’s name fool you; we are not talking about a stringent art critique amongst wine lovers. “Movable Type Mixer” occurs on a quarterly basis at Vermillion. The next event is happening this month on Wednesday, October 23 at 7:30pm in PDT. It’s a social gathering between old friends, new acquaintances, and everyone in between. With no cover charge, public speaking requirements, or intrusive questions on your personal life, Movable Mixer is the perfect place for a leisurely activity to meet new people. The only requirement is to bring the printed book you are reading and be open to discuss it. Quite simple isn’t it? Founder Amy Levenson has worked in international publishing for nine years. Levenson believes “books are the one topic that can pump all the awkwardness out of a stiff social situation.” She got the idea for the discussion group while in Europe after stumbling across a monthly book club meeting in a Parisian bar. “’Book clubs are usually small and private,” she explains, but “the idea of expanding one to anybody who wanted to come makes it completely unpredictable.”’ Upon moving to Seattle, Levenson realized it was the perfect place to start an open book gathering. Weary on talking to someone you don’t know? Levenson proposes this food for thought, “Even if people can’t look at your face, they’ll look at your book and talk about it,” she says. 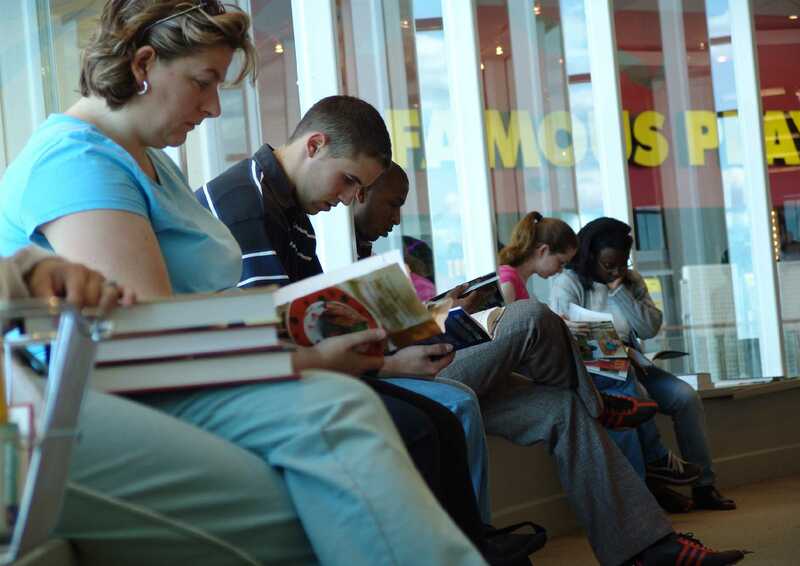 Printed books bring people together; they enable introductions to be stress-free and intriguing. Strangers, who assume to have nothing in common with one another, are soon chatting over their latest novel with a new acquaintance and friend at Vermillion. Support print and support this friendly community event. Continue the Choose Print Movement and get your orders in today!